A sharp increase in the number of lawsuits was the main reason to build the new Breda Courthouse. The new facility includes 27 courtrooms, as well as offices and various public spaces. 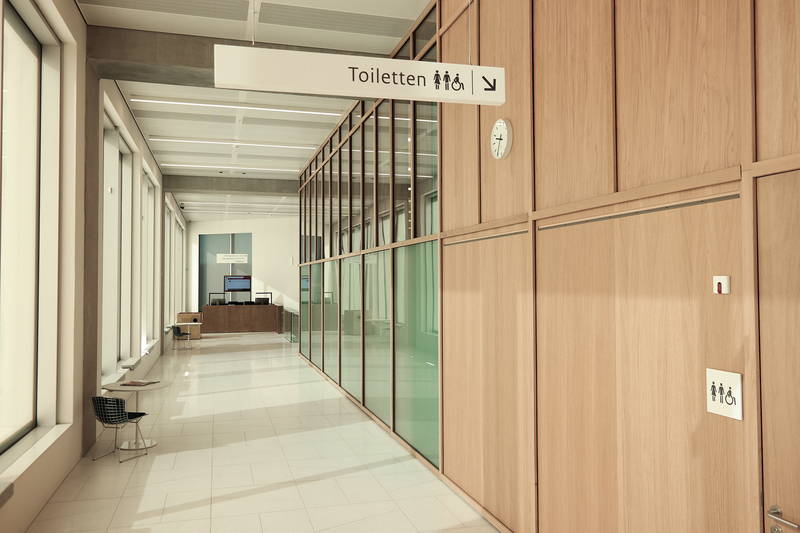 In line with the ‘Rijkshuisstijl’ (Dutch Government Branding), Mijksenaar was asked to take care of the wayfinding. 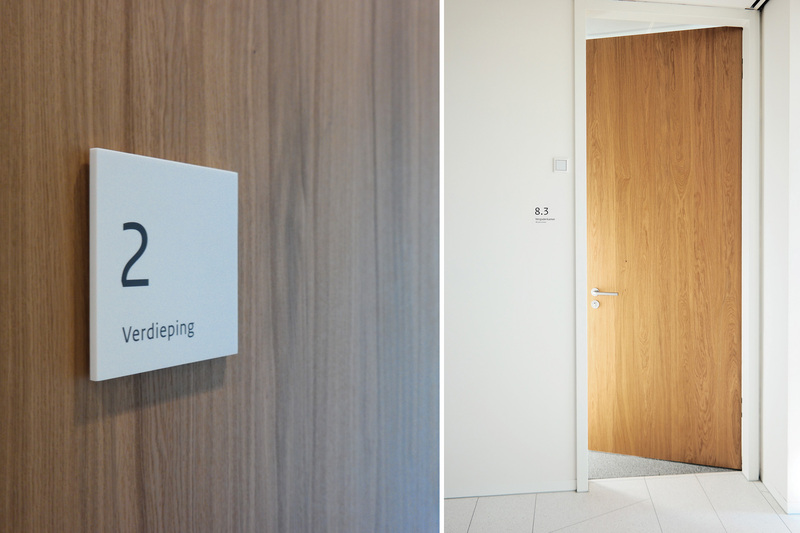 Mijksenaar made a number of graphic changes to the branding in order to increase the legibility and make it coherent with the building’s architecture. Many of the signs are made using Hi-Macs, a material which is comprised of up to 13% pre-consumer recycled content. This means that the signs themselves can be recycled and re-used in future projects. The offices situated on the top floors are shared by Rechtbank Zeeland-West-Brabant (Court of Justice Zeeland-West-Brabant), Openbaar Ministerie (Netherlands Public Prosecution Service) as well as Raad voor de Kinderbescherming (Council for Youth Care and Child Protection). For a visitor, however, these are three different organizations, each with their own wayfinding style. 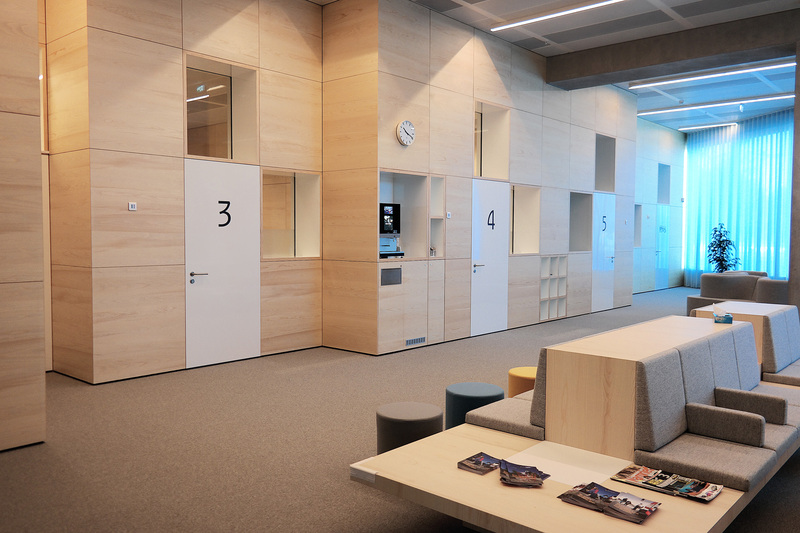 Close collaboration with (interior) architects (Hootsmans and Maarten Jamin) and the fabricator (Sign-Partners) has resulted in a sleek wayfinding family, with room for variation between the various organizations while still being a coherent whole.